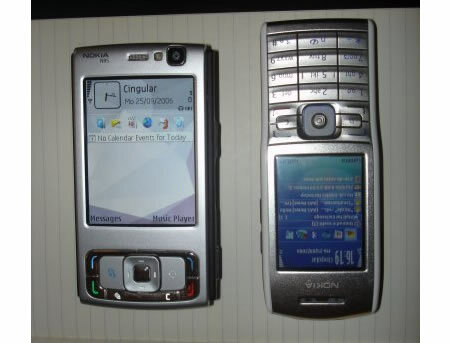 A few months back we had posted spy shots of the upcoming Nokia N95 multimedia phone. Nokia is expected to officially announce this super phone today along with other phones including Nokia N75, Nokia N91 8 GB Edition and Nokia N73 Music Edition. The new N91 8 GB edition will have the same functionality as its predecessor but it will come with a 8 GB hard drive to take on the new iPod Nano. Coming back to the N95 it will be Nokia’s first HSDPA (3.5G) device and with Wi-Fi, WCDMA, quad-band GSM, Bluetooth (including A2DP), IrDA, GPS and USB 2.0 it leaves no stone unturned when it comes to connectivity. It sports a 5 Megapixel camera with Carl Zeiss lens with support for video recording in DVD quality and a VGA res camera for video conferencing. 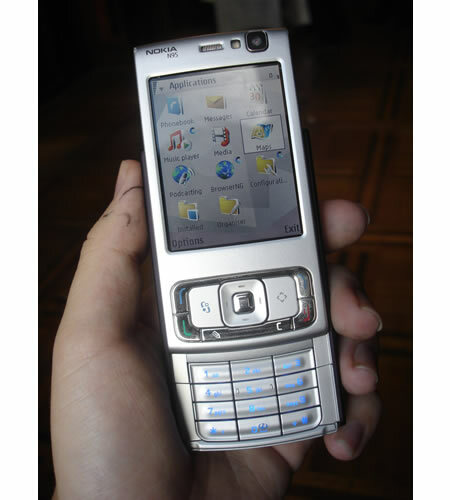 The N95 has 150 MB internal memory which can be expanded via Micro SD card as with majority of phones it lays emphasis on music playback and comes with dedicated music playback keys on the front flip. The onboard stereo speakers provide a decent output if not satisfied then you can stream music wirelessly via Bluetooth A2DP to compatible speakers. You can view images and movies shot on the QVGA display or on the big screen using TV-out. 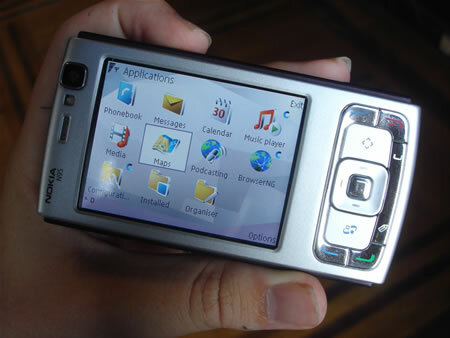 The Nokia N95’s GPS has an anticipated accuracy of around 10m (satellite signal permitting). The device will ship with an application called Maps which has global overview maps built in. More detailed can be downloaded free of cost however navigation functionality (with voice and on screen prompts) will be available as a pay-for add on. 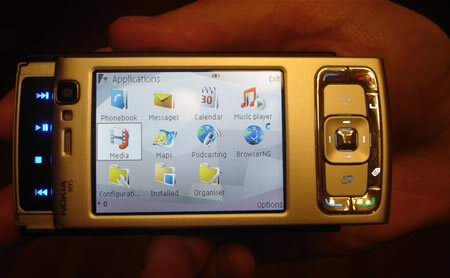 The Nokia N95 will be available in Q1 2007 for €550 around $700. It might hit Cingular very soon it seems. When will the N95 be in South Africa – With What type of package deal at Vodacom will you receive this phone? How much is it now? Of course, i am asking for the brand new.